Short Summary: Arelia has always been able to communicate with spirits. 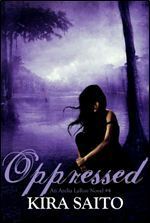 When she takes a summer job at the Darkwood Plantation to help support her grandmother financially, she begins to develop her skills as a “voodoo queen”, as well as uncover secrets about the people and spirits that surround her. My Review: I was pleasantly surprised with how much I liked this story. 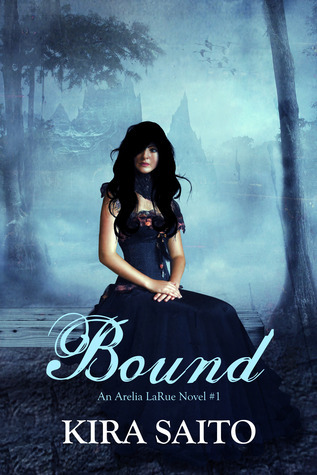 I’m so use to reading fantasy and supernatural books that have no real explanation to them, but Bound focuses on the true voodoo practices and beliefs in the setting of New Orleans. Everything strange that happens around Arelia is explained through the use of voodoo, and it’s a lot easier to experience what the characters are experiencing because they are able to explain these events through their beliefs, rather than ghosts just randomly haunting them for no particular reason. I’m curious what happens next, and if the series will get better, so I will most-likely be buying the next e-book. This is a fun story, in which I really enjoyed watching the characters develop. This was a free e-book. Third book in the Arelia LaRue series. Short Summary: After learning the many secrets of the LaPlante plantation, Arelia is now re-living the events in the past lives of the spirits who she is trying to help, while still trying to understand the reasons behind Louis’ behavior and attempting to discover the identity of a murder. My Review: I was so afraid that this book was going to end too quickly and be a disappointment when I saw that I was getting to the end of the final chapter. I am happy to say that there is a fourth book coming soon and I look forward to reading it! There is so much going on in this book. The pieces of the many questions that Arelia has about the spirits that surround her are finally coming together. However, the author isn’t ready to give away the grand finale yet. Once again, this book leaves you hanging, answering questions that you’ve had since book one and leaving you with more knots to untangle as the voodoo queen uncovers clues to solving her mystery. I retract my goodreads comment in my last review of Punished when I said that I hope Arelia and Ivan somehow get together in the end. Clearly, I was misled, which makes this all the more fun. I have no idea how it will end. All I can assume at this point is that history is doomed to repeat itself! I am so glad that this book didn’t turn into a sappy, romantic story. There is just enough romance to satisfy you, but just enough of it lacking to the point you are utterly frustrated with the sexual tension. The romantic aspect of this story lies in the story within the story, which is a sad tale of love and loss. This is what makes these books great paranormal romances since you still aren’t sure how things will turn out for the lovers. Kira Saito is one of my new favorite authors. I have finally decided that I will be purchasing these books in print as soon as I can. They are all quick reads, but very captivating. I bought this e-book for my own enjoyment. Short Summary: The truth behind the LaPlante Plantation and its owners finally begin to unravel as the author takes you back in time to past events that Arelia has been attempting to uncover since the first book. My Review: I’ll be honest, I only gave this one three stars because the pace was terribly slow until the last few chapters. You do get to meet the characters of the past, learn more about why the present characters act the way they do, and you are introduced to new spirits that continue to influence the actions and emotions of the main characters. You are not really following Arelia’s life at this point. Instead, she is learning about the past through the perspective of others. I bought this e-book for my own enjoyment and will continue to follow the series.